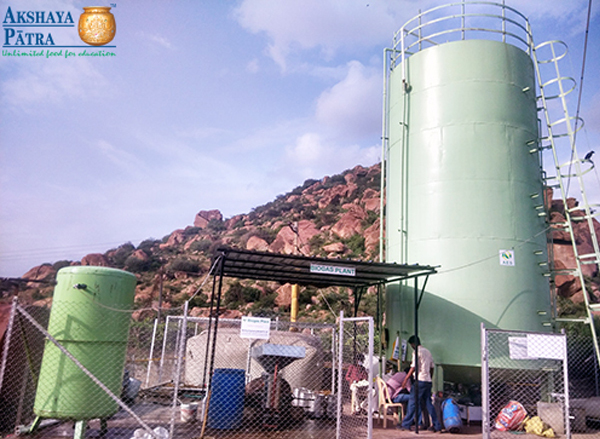 Towards an eco-friendly drive, Akshaya Patra has adopted a new organic waste to biogas system at its Ballari kitchen which is capable of generating 120-150 cubic metres of biogas. The system can convert vegetable and food waste to energy and can generate good quantities of organic manure. Akshaya Patra's Chief Projects Officer, R Madan said "We plan to serve 5 million meals in the country in the future with the active support of State Governments. To sustain such large operations, we are looking for green technologies that could help us replace LPG as fuel."